Online registration for this event is closed. You can register in-person at Packet Pickup which is 11/3/17 from 4-6pm at Fitness Sports, 8810 Swanson Blvd. Clive, IA or from 6-7:15am at the SE corner of the Carlisle High School, Carlisle, IA. Our annual Half Marathon & 10k races are a fundraiser for the Indianola Christian Union church Mission Team. We had 500+ participate last year. We offer chip timing, tech shirts, medals to all, trophies to top finishers as well as age division awards. The half marathon and 10k are point to point races, new this year we added the Greubel Memorial 5k which will be an out and back race to fundraise for three kids in our church and community who tragically lost their parents last March. Funds from the 5k will go directly to offset funeral expenses, living expenses, and for college tuition. 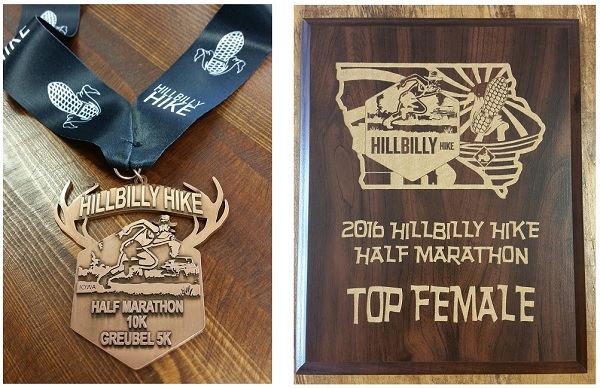 When you reach the finish line in Carlisle, Iowa you will be greeted with festive music, delicious pie, biscuits & gravy, chocolate milk, and other great grub, you will receive a custom die cast medal that you can have engraved, and by all means take advantage of our free and fun photo booth. Participants can park at the Carlisle High School, bus transportation to both the Half and 10k start lines provided. Busses begin loading at 6:00 a.m. The last bus will leave Carlisle at 7:15 a.m.
Park at the Carlisle High School, no bus needed. Bag drop is available for this race too. Trophies to 1st and 2nd overall Man and Woman. The Half Marathon course is flat and net downhill. You can look forward to scenic bridges, water stations with volunteers dressed in entertaining costumes to cheer you on every 2 miles, running past scenic lakes, through woodlands, farmlands, wetlands and the prairie on your way to the finish line in Carlisle, Iowa. The course showcases a rainbow of the state's natural heritage. The 10k and 5k are both as flat as mountain dew you poured and left out over night. All the courses are primarily on the beautiful Summerset Trail (former rail trail). Iowa is famous for its beautiful and picturesque cornfields, but for a taste of all things Iowa, the Summerset Trail in south-central Iowa is your ticket. All three races welcome all paces including walkers. You may hear roosters crowing and cows mooing all the while taking in the beautiful fall colors. The 10k course will start in Summerset State Park on the full width of the paved road on the south side of the park and then gradually funnel onto the paved Summerset Trail. The 5k course is simply an out and back which starts close to the finish line. It too will allow for full width of paved road to allow plenty space for the start before funneling onto the paved Summerset Trail. Both the 10k and 5k courses will be accurately measured using Google Earth. There will be portable restrooms where you board the busses for the Half and 10k. There are plenty of portables at all the start lines, there are also restrooms at the 1 mile mark for both the Half and 10k. 5k participants will find restrooms at the finish line. Both neighboring towns of Indianola and Carlisle (just southeast of Des Moines, the state capital) are friendly and have plenty of amenities. The Half Marathon start is in the larger city of Indianola, where the trail begins and winds through the city itself for about a mile and a half before striking out into a wilderness of red and white oak trees, owls, and fox. Additional details including course maps on our website. Race Day packet pick-up and registration starts at 6 a.m on the East side of the Carlisle High School. The buses will arrive at 6:00 a.m. The buses will be marked Half Marathon & 10k. The last bus takes off at 7:15. Buses will load and take off one at a time. Packet Pick-up and walk-up registration will be at Fitness Sports at 8810 Swanson Blvd, Clive, IA 50325 on Friday, Nov 3 from 4-6pm. We will also offer packet pickup at the Carlisle High School the morning of the race from 6:00-7:15 am. Busses begin loading at 6:00am. The last bus will leave Carlisle at 7:15. Our Tech Shirts are super soft Ring-spun. Ring-spun cotton is created by continuously twisting and thinning the cotton strands, making a very fine rope of cotton fibers. The twisting makes the short hairs of the cotton stand out, resulting in a stronger yarn that is significantly softer. We DO take your size however after 10/18 size is not guaranteed. 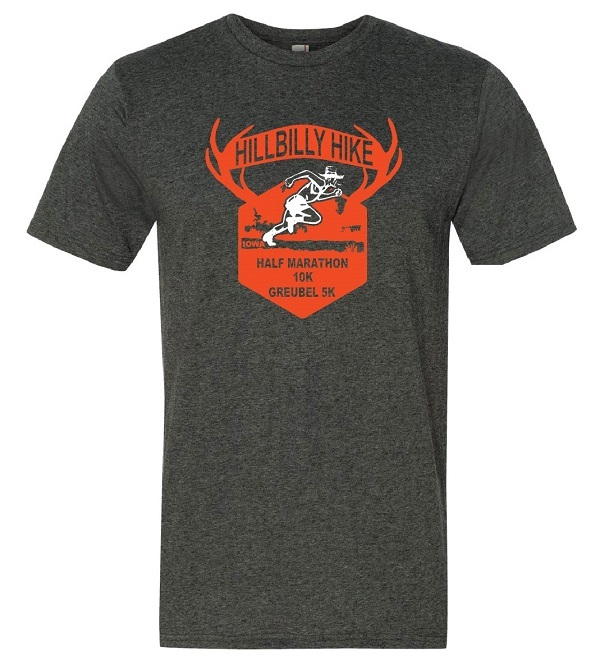 Please understand that we have to order shirts 3-4 weeks prior to race day. Plaques will be presented at finish line to 1st and 2nd overall Man and Woman in both races. Masters Div. Plaque to 1st Man and Woman age 40+ will be presented as soon as Timer declares winner. Awards to top 2 Men & Women in 5-yr age increments. Awards are $10 discount for next year's race. Awards will be emailed after the race. Everyone who crosses the finish line will receive a custom die cast medal. 2016 Results are available here. 2015 Results are available here. 2014 Results are available here. Click here for 2014 City View article. Click here for Race Raves. Click here for 2016 Panfoto Photos. Click here for 2015 Panfoto Photos. Click here for Half Marathon course map. Click here for 10k course map. Click here for the Greubel 5k course map. Your donations help us to help others! Join us in welcoming our returning athletes and their friends to our caring community. We are so proud and fortunate to live in an active community that offers so many things to do and see. It is our pleasure to share the unique beauty and hospitality that you can only find in Warren County. We have received fantastic feedback from our post-race surveys. Our races are valued for being affordable yet quality events. Our family friendly events are a positive for our community. The majority of participants noted that they plan to return and would encourage friends to join them. We plan to grow this event and continue it for years to come. Endurance events such as ours are high profile events. They represent health and fitness, internal drive, perseverance, dreams and accomplishment! Our mission is to serve runners, walkers, and our community through a fun, safe, and scenic event. Our event is designed to draw participants of all abilities, ages, ethnic backgrounds. We would love to add your name to our ever growing list of sponsors. Please don't hesitate to contact us with any questions. When this page loaded, the official time was 2:21:34 AM EDT.